of the Product Called "H3O"
In February, 2001, I travelled to Grass Valley, California to investigate the medical claims of a group of chemists at a company called HPT Research. Indicating that they had stumbled upon a miraculous compound that would revolutionize the medical field, their claims appeared quite dubious at first glance. After all, none of the principals had any formal training or experience in medicine . . . and the name that they assigned to their product, H3O, was merely chemical shorthand for hydronium. [ 1 ] What could possibly be so special about that? Further investigation by members of Alpha Omega Labs, then operating out of Lake Charles and Nassau, Bahamas, proved that the reports we were getting from HPT's end users in Northern California -- even though anecdotal -- were genuine and worthy of further investigation. Moreover, HPT Research was able to show that the product had been extensively tested, was non-caustic and non-corrosive, and had already been approved by a variety of U.S. Government agencies for other applications. We introduced HPT's H3O later that month (February, 2001), and created an introductory page discussing what we had found. 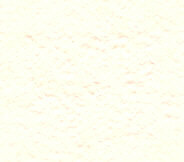 In our first Ashwin, later that year, October, 2001, we discussed additional properties of H3O which we had uncovered . . . and did the same with issues in November, 2001, December, 2001, January, 2002, and July, 2002. To add insult to injury, in subsequent litigation where Alpha Omega Labs was the plaintiff, [ 4 ] it was revealed in a sworn deposition by Overton, inventor in previous patent work leading up to the "invention" of this stabilized H3O (see footnote [ 5 ] to examine background U.S. patent filings) that the subsequent patent work done by himself; his partner, Steve Wurzburger; had allegedly been designed to deceive the public. Critical elements of the manufacturing process had been left out, making any attempt to re-produce the product by following the instructions in the relevant patents filed completely useless. Around the same time, I flew to Huntsville, Alabama, to meet with alternative physicist, Tom Bearden, at his home. Despite being characterized by the orthodox community as a crackpot -- with no less vitriole than I am -- my experience in the few conversations that I had had with Bearden was that he was an highly creative, original thinker. Knowing that electromagnetic fields played a key role in the manufacture of H3O, I went ahead and asked Bearden for his assistance. (My in-person video interview with Bearden appears on this site -- in 4 parts). Although Bearden wasn't able to give me HPT's secret to manufacturing H3O, he gave me enough clues that with the assistance of chemists in Guayaquil, Ecuador, I was able to figure it out 7 years later. It is equal to, if not superior to, the original embodiment. Today, Alpha Omega Labs runs its own "H3O laboratory" in Guayaquil, where we manufacture the product ourselves and conduct ongoing research into structured water and the properties of various hydroxyl groupings, having discovered what we believe to be the missing pieces which Overton and Wurzburger, according to Overton himself, excluded from their patent work. Under patent rights also contractually assigned to us by Overton for what amounted to $48,000, we now manufacture this product without violation of intellectual property using our own proprietary process. To U.S. Users: H3O has not been evaluated by the U.S. Food & Drug Administration. This product is not intended to diagnose, treat, cure, or prevent any disease. See instructions. 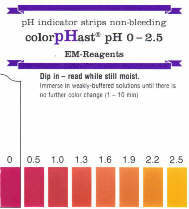 H3O has distinctly different properties at different pH levels. 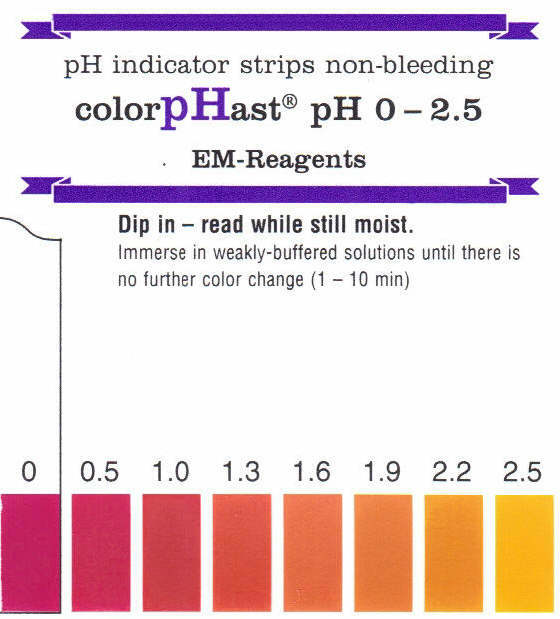 On the H3O pH Chart & Usage Guidelines page, we provide instructions as to what dilution ratios to use for its various functions. Since February, 2001, we had been selling a product called "H3O" -- which was touted by its California manufacturer as a panacea for a host of ailments. [ 7 ] Although the mechanism of action was not well-explained, we went ahead and designed an introduction page for H3O (the original manufacturer's name for the product, by the way, not ours), where we solicited comments from our own customers and reproduced the many glowing testimonials which the California company had provided to us, free of charge. 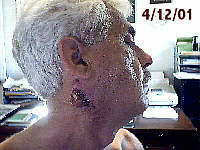 From March to November, 2001, our office was involved in a serious melanoma case with a Mr. R.L. Banks. Out of that case a series of photographs emerged which we used to create the page, R.L. Banks: A Pictorial Narrative of An Amazing Melanoma Recovery. [ 8 ] Strangely, it was only after working with Mr. Banks for six months did we become aware of something else in the pictures that was unrelated to the removal of the melanoma itself. Bank's grey hair -- a clear sign of his advanced age -- had reverted to the blond color of his youth . . . not all at once and not in clearly defineable increments, but rather in gradual stages throughout the eight months we worked with him. Was this an anomoly . . . or did it uncover an overlooked -- perhaps even suppressed -- area of medical science related to . . . well . . . how else can be say it? . . . a relationship between hydrogen deficiency and retardation of one or more elements of the aging process? When I confronted Volkov in person about the prominent current thinking as to the value of "alkalizing the body," he scoffed. "It isn't acidification that causes aging and disease," he said, through our interpreter, "it's the accumulation of the wrong kind of acids." The presentation of his ideas gave one the distinct impression that the benefit of sodium bicarbonate and other therapeutic, alkalizing compounds came from the counteraction of the stomachic pH buffer system. 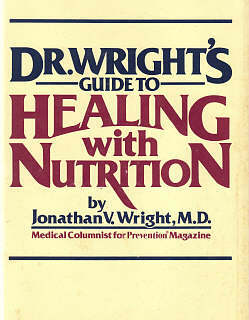 In other words, alkalization forces the body to generate stronger, beneficial acids. 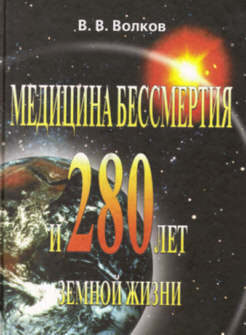 After the destruction of AO Labs in the U.S. (Sept., 2003), Suddath continued an ongoing dialogue with Dr. Volkov that extended well into 2004. As more and more people obtained practical benefits from using "acid water," Volkov became increasingly under the limelight. Suddath indicates that Volkov was having to answer an increasing volume of email and personal requests. Not all of the inquiries were positive. Theory is one thing . . . . practical application is quite another. 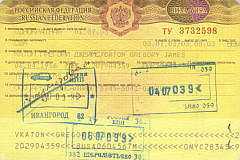 In the attempt to apply his theories, Volkov recommended an electrolysis machine from a Baltic company named Burbuliukas. Machines of this type involve electrolysis of water -- using a basic technique well-established over 220 years ago. There are numerous applications for this type of equipment, so the following observations should not be interpreted as a criticism of the manufacturer. What Volkov did, was recommend that people consume small amounts of the "acid water" from this electrolysis machine daily. 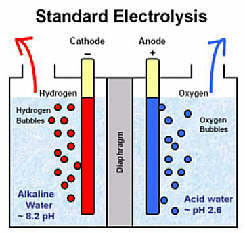 The operation is hornbook chemistry: when water is electrolyzed in this fashion, the H+ cations accumulate around the anode (positive terminal -- blue in the diagram above) and the OH- anions accumulate around the cathode (negative terminal -- red in the diagram above). 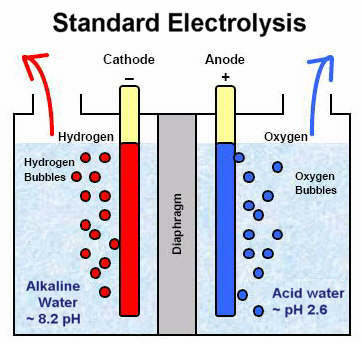 After about an hour in the electrolysis machine, the remnant water on the anode side of the paper membrane is "acid water" measuring around pH 2.6 ... and the "alkaline water" can be found on the cathode side -- something Volkov instructed to promptly discard. The process time varied according to the water used. 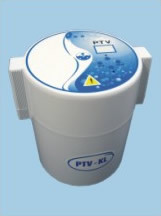 Since pure (or distilled) water is a poor conductor of electrical current, most people used spring water (where minerals in the water assisted the process). According to Suddath, a few people reported that the water was too caustic -- something that we ourselves did not experience personally using this machine for test purposes. 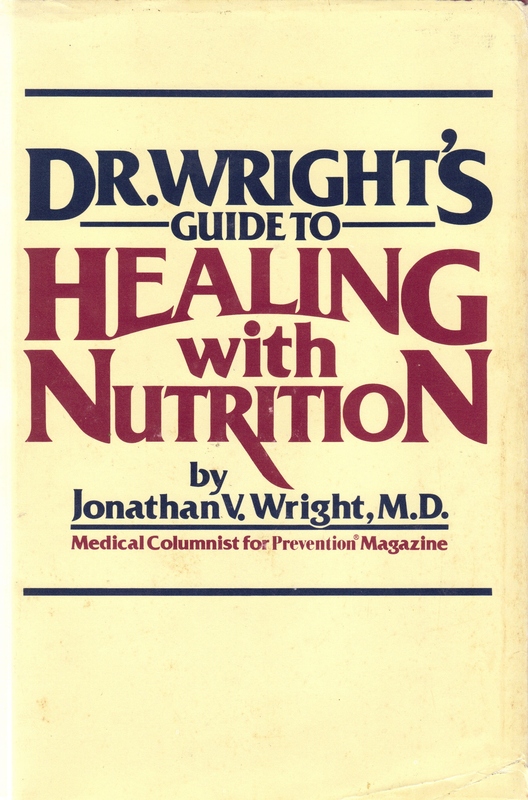 [ 10 ] Nonetheless, we found H3O to be a better solution, more convenient, and a stronger acidulent -- which people with digestion problems found most healthy, similar to the results Dr. Wright saw clinically using hydrochloric acid tablets (see below). Some time in 2006 or so, Volkov disappeared from the web entirely. His website, which was becoming increasing popular, h-longevity.net, came down and soon even the domain was lost. He stopped returning emails . . . and thereafter . . . nothing. 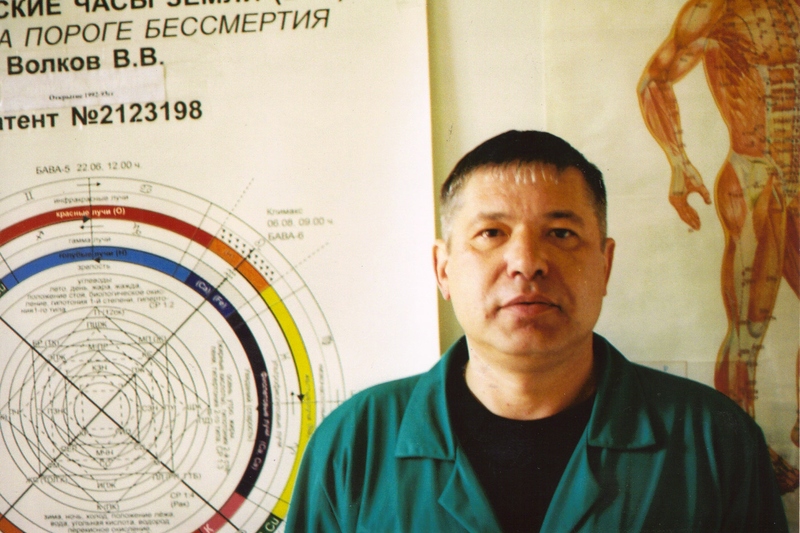 Only the Internet Wayback Machine gives us a clue as to mysterious online appearance and disappearance of Dr. Volkov's work. 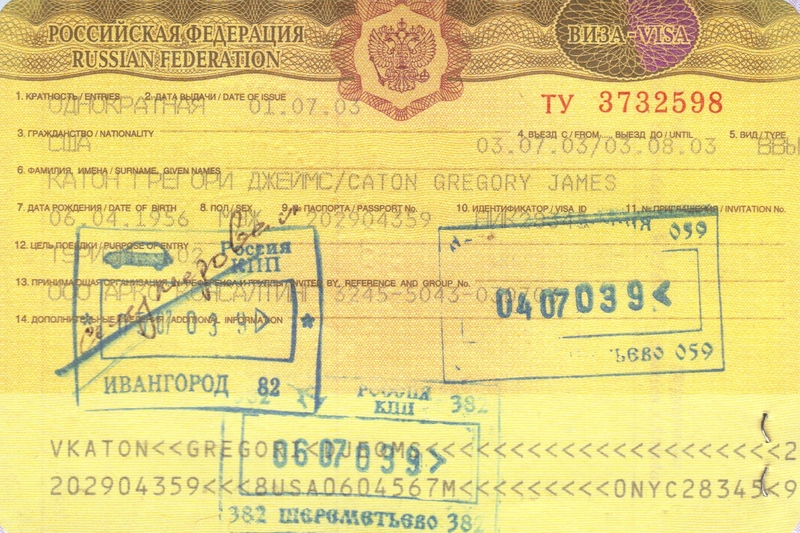 Volkov had a companion domain, h-longevity.org, where he set up his International Foundation to share his discoveries with the world. When you run this domain, h-longevity.org through the Wayback Machine -- all links for 2006 and 2007 render white pages. No information . . . No text . . . Nothing. 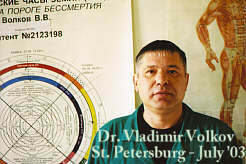 More recently, Dr. Volkov has resurfaced with at doctorvolkov.ru, which registers February 1, 2008, as its earliest appearance on the Wayback Machine. We're copying the pages before someone takes it down. Strange though Volkov's theories sound to some, they certainly have a therapeutic basis. It is hornbook biochemistry that as we humans age, our digestive acids become weaker, thus gradually making our ability to absorb nutrients less effective. Viewed from another perspective, it is a well-established fact that the modern diet contains a fraction of the ascorbic acid (Vitamin C) that hunter / gatherers of an earlier era consumed. I would propose that we have no idea as to the sheer number of labile acids that we rendered useless in our foods as they work their way from soil to dinner table. Only with further research will we uncover how much H3O will fill in the void. And only with further research will we discover the extent of Volkov's contribution to our understanding of longevity and the role that H+ plays in optimal nutrition.